Provide comfort for the family of Georgianna Reichelt with a meaningful gesture of sympathy. 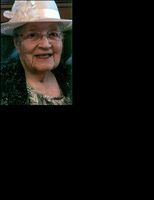 Georgianna Mae Reichelt was born Nov. 4, 1928 in Great Falls, MT and died on Feb. 15, 2019 at age 90 in Missoula, MT. Her parents, George and Annie Reichelt had 5 children; Georgie, Donna, Dennis, Larry and Gary. The family lived, worked and played on their farm six miles west and south of Big Sandy, MT. Georgie loved to read and study, singing and music, all animals (especially her kitties), stylish cloths and hats and traveling. She and her mother enjoyed many driving trips together. Georgie also traveled alone and with other friends and family members. She was a member of the Sons of Norway and loved the annual lutefisk dinner. Aunt Georgie had a memory like an elephant and vigor like the energizer bunny! She graduated valedictorian in 1947 from the Big Sandy High School. After high school she joined a couple of close friends in Spokane, WA to attend the Deaconess School of Nursing. She completed college at MSU-Northern at Havre and graduated with an LPN Associate degree. Her career history included being a secretary at the Farmers Union Oil Company in Great Falls, LPN nurse at the Sande Convalescent Home in Big Sandy and as a live-in caretaker and companion in Northern, Central and Western Montana. Georgie was fun-loving and adamantly devoted to communicating, visiting and keeping track of all her relatives and friends. She was a gracious and constant presence in our lives and will be greatly missed. Georgianna made her choice to follow Jesus when she was 12 years old. She was very faithful to her convictions all of her life and finished her journey through life faithfully. A funeral service will be held Saturday 2:00 PM March 2, 2019 at Garden City Funeral Home (1705 W. Broadway in Missoula) a viewing will start at noon, a reception will follow the funeral service. A graveside service will be held Monday March 4, 2019 at the Big Sandy Cemetery at 1:30PM. To send flowers in memory of Georgianna Mae Reichelt, please visit our Heartfelt Sympathies Store. We encourage you to share your most beloved memories of Georgianna here, so that the family and other loved ones can always see it. You can upload cherished photographs, or share your favorite stories, and can even comment on those shared by others.